But when you start adding options, it climbs eerily close to six figures. In 2018, Tuscany Motor Company—an aftermarket outfitter for GM and Ford trucks—debuted a concept version of a new Harley-Davidson Ford F-150. The original H-D F-150 was available through Ford from 2000-2012, but the tough muscle truck has been absent from the lineup for years now. Over time, the special edition saw various different trims and engine options, at one time even featuring the 5.4-liter supercharged V-8 from the F-150 Lightning. By the end of its run, the truck had become similar to the Platinum trim on the F-150, offering many of the same features as well as using the same leather as Harley-Davidson riding jackets. This year, Tuscany Motor Company announced it would be doing its own run of the F-150 Harley-Davidson concept. The truck features 22-inch "Fatboy" style wheels, exclusive Fox performance shocks and BDS suspension, special Harley-Davidson badging for the sides and tailgate, and a plethora of other exterior changes over the standard F-150. The grill has new honeycomb inserts, an LED light bar that's been integrated into the front bumper, power running boards, and a functional ram air hood. 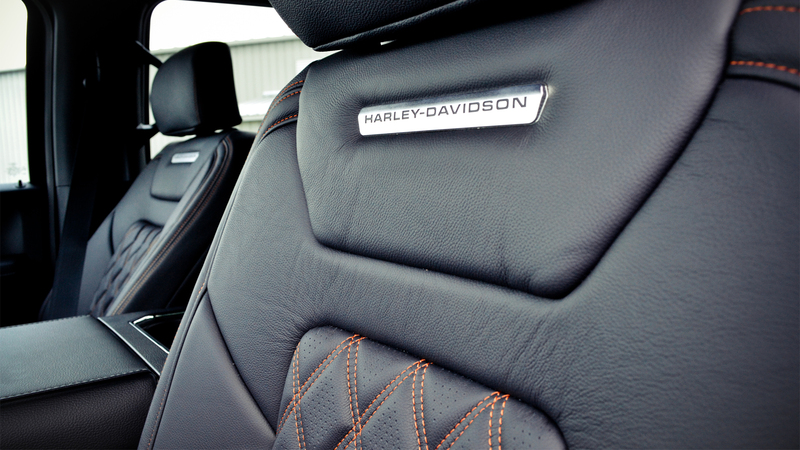 On the inside, it features custom leather seat covers with an orange diamond pattern and copious amounts of Harley-Davidson logos. 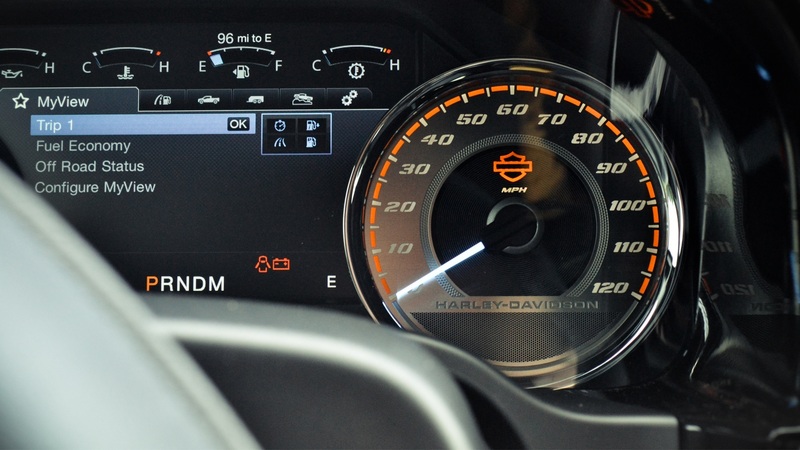 The door sills, floor mats, and gauge cluster all remind you that you are in an F-150 Harley-Davidson Edition. If that's not enough, the center console also features a numbered plaque on the center console. 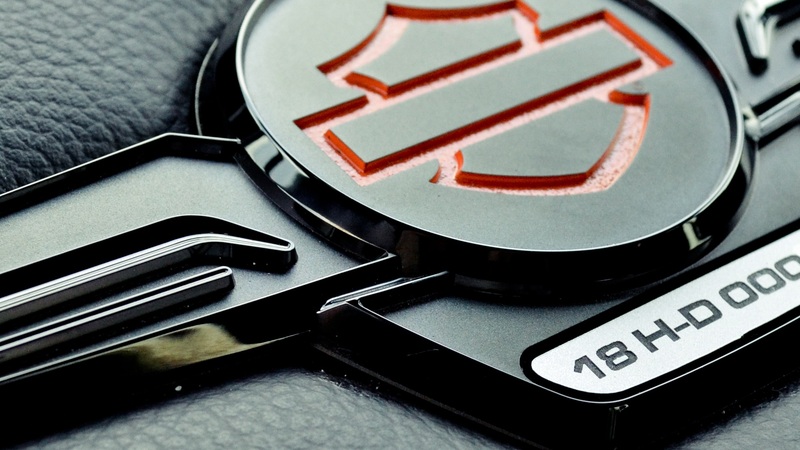 The door panels, dash, and steering wheel are also trimmed in a Harley-Davidson theme. All of this comes at a cost, of course. Prices start at a mere $84,995 before options, but that's before you get into the specifics. According to Tuscany's website, the Agate Black version is a cool $97,415; White Platinum costs $97,710; and if you want the special order Leadfoot paint, be prepared to part with $98,433. If Harley-Davidson isn't your style, Tuscany Motor Company also makes a Shelby-inspired F-150 which starts with a naturally aspirated 5.0-liter V-8 for $93,695 or can be optioned up to a 755HP supercharged V-8 for $106,695. Fastback bed caps: A crazy idea, or the next big thing in a truck-crazed world? Perhaps these scrappy concepts are closer to production than we thought. The good news is Ford will be happy to sell you another truck that'll tow this one to car shows.